in Creative & Tech with tags Fan Art, Game of Thrones, HBO, ugc, user-generated content, Visual Arts Both comments and trackbacks are closed. HBO’s hit series Game of Thrones has spent seven seasons cultivating an ultra-creative fandom that has celebrated the series through fan fiction, cosplay, original fan art, and more. Now, in honor of the show’s much-anticipated eighth and final season, we’ve partnered with HBO to ignite the imagination of this dedicated community of fan artists like never before. 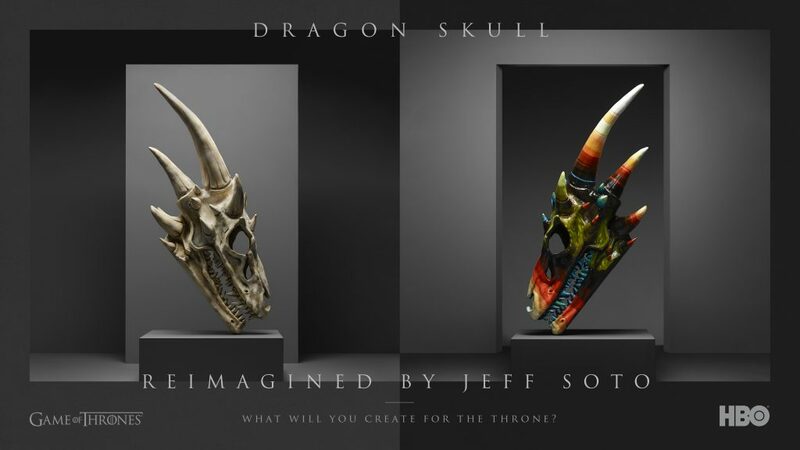 Introducing Create For The Throne, a new commissioned initiative and visual arts showcase that highlights the best of fan creativity by transforming iconic Game of Thrones props into a multimedia collection of museum-quality artwork. To kick things off, we gave 18 original Game of Thrones props to 18 super fans from the world of visual arts and design, and asked them to repurpose those props to make something new. 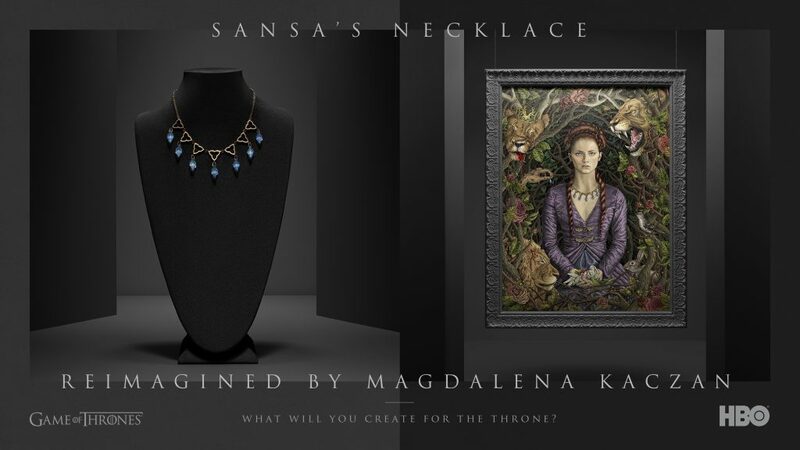 The resulting series of works forms the basis of a multichannel campaign encouraging Game of Thrones fans everywhere to show off their creativity and skill by posting their own original GoT artwork online. Featured artists represent just a small portion of Game of Thrones’ thriving, global fan community, and hail from all over the world—including the USA, Canada, Japan, Belgium, and Wales, to name a few. The artists worked in a wide variety of mediums including ice carving, neon, painting, illustration, sculpture, woodwork, metalwork, and textiles. Notable participants include Kris Kuksi (Art Basel/Smithsonian National Portrait Gallery), Victor Ngai (Young Guns 16/Forbes 30 Under 30), Jeff Soto (Jonathan LeVine Gallery), AJ Fosik (Jonathan LeVine Gallery), Julie Bell (Marvel), and Robert Ball, the illustrator behind Game of Thrones’ ongoing “Beautiful Death” series. 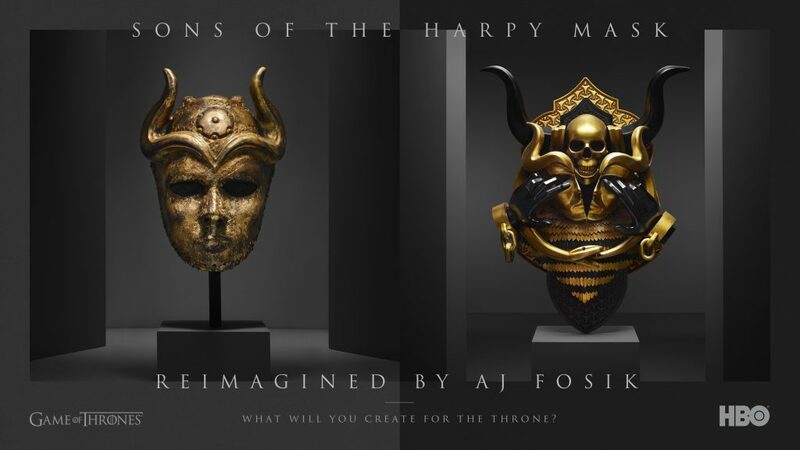 Create For The Throne takes inspiration from Game of Thrones’ thriving digital community of fan artists around the world to push the concept of “user-generated content” to new heights. A portion of the CFTT collection were recently teased online and displayed as murals in Brooklyn and Venice Beach. The full collection will soon appear on @GameOfThrones social channels, on participating artists social channels, and on HBO editorial sites. A portion of the collection was also be displayed at the Game of Thrones premiere party in NYC. Game of Thrones fans will be encouraged to share their own fan art on social media for a chance to have their work featured alongside the collection.